The EXPEDITION TRUNK 65 has been used for carrying ice hockey equipment, sailing trips, big expeditions and weekends away. 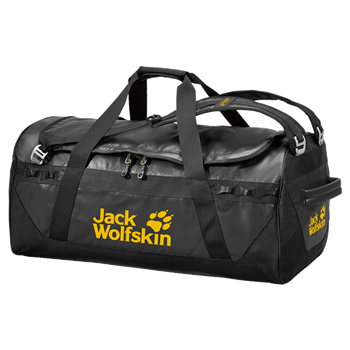 Whatever you use it for, this heavy-duty, water-resistant travel bag will keep all you kit safe and sound. The roomy main compartment has space for loads of gear. Smaller items can be neatly packed in the inner compartments or the front pocket. Your gear will stay dry in the front pocket, as this is equipped with a water-resistant zip. You can carry the EXPEDITION TRUNK by the handles or like a backpack. For backpack mode, simply unpack the stowaway shoulder straps and off you go.